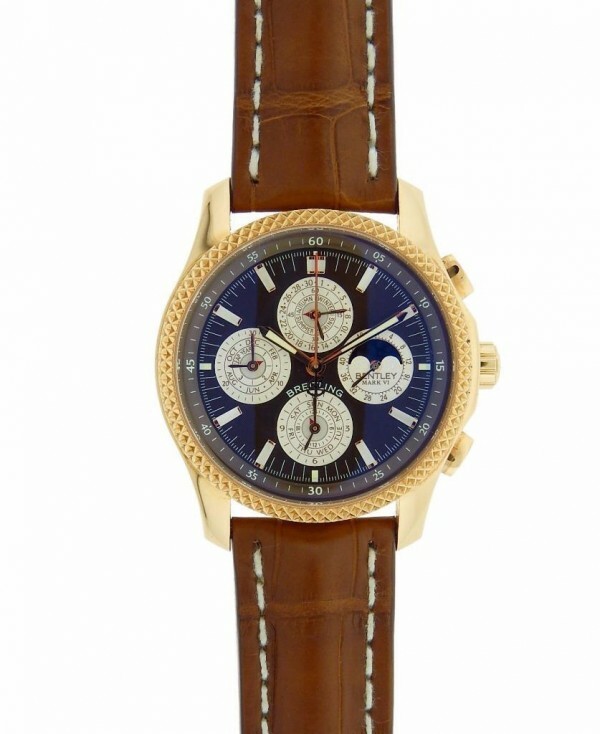 Own this beautiful timepiece by Breitling and enjoy this Bentley Special Edition watch. 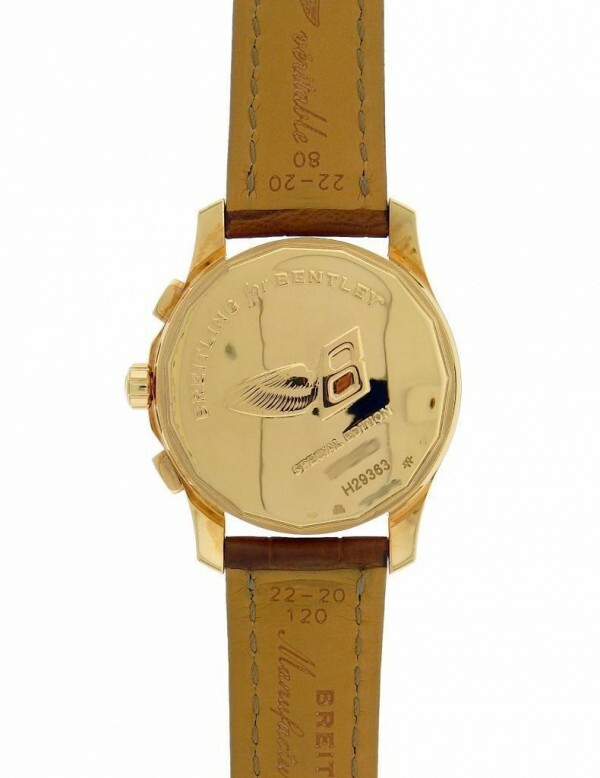 Watch offers you a 42mm case crafted from 18K Rose Gold Case, Bezel and Buckle. Watch displays Brown Dial with Chronograph Function also Perpetual Calendar. Watch has a nice brown leather strap that goes great with the watch. Watch makes a great gift. Wear it in great health.